Croick lies within a complex of glens, which feed into the River Carron west of Ardgay, in the NE corner of Ross & Cromarty (now administered as part of Sutherland). Here are heather hills and moors, an uncommon sight over much of the County. 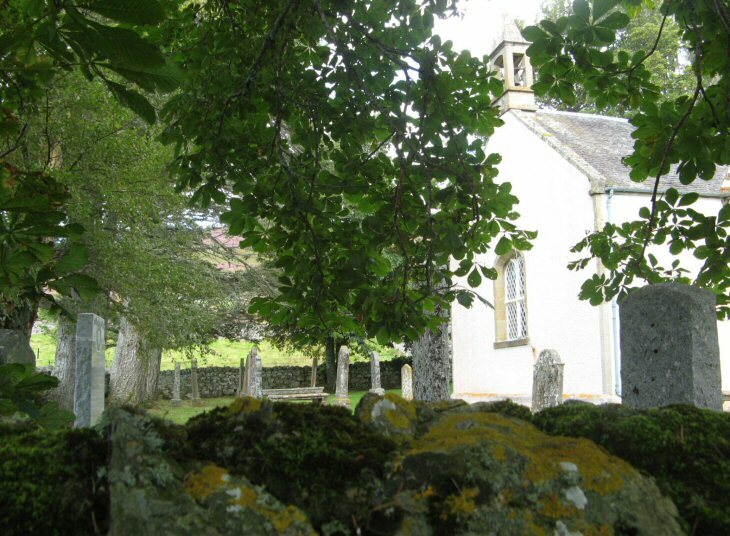 The building of the church is testimony to the population levels in the area during the early 19th C. These glens were subject of notorious clearances of families, and the churchyard has a special place in the history of these events (see link below). Ironically, some of those buried here were employed as shepherds, gamekeepers and stalkers, by the new regime of large farms and estates. [Midge repellant recommended if visiting between May and September]. Picture Added on 09 September 2010. For more information on this subject see the following website.